‘Tis the season to eat cabbage, a wonderful and woefully underused vegetable. Cheap, too! You get a whole lot of cabbage for your money; perhaps if your family is small it seems like you get way too much cabbage for your money. We love homemade coleslaw and made a batch not long ago. Shortly afterward some friends from Italy, came to visit us. Their visit posed some interesting and difficult problems for Chef Captain; one of the women is a vegetarian, the other has an extremely restricted diet that excludes onions, garlic, tomato and soup. In addition, the second woman is not very fond of fruit and likes only certain vegetables. A knotty problem indeed. On many of the evenings our guests were with us the only solution involved separate dishes, one with the offending ingredients (onions, garlic, principally), and one without. Such was the case the day the Captain decided to take on the half a cabbage that was left over from our last coleslaw binge. He fussed and muttered in front of the computer screen for quite a while, but in the end he came up with a recipe for Penne with Cabbage and Cream that is divine. While I credit him with its deliciousness, he insists it is but an adaptation of various recipes he found while researching food of the Alto Adige in Italy, a region that loves its cheese. The dish is a great combination of the Virtuous (cabbage) and the Sublime (cream, cheese). I hope you’ll try it… and don’t leave out the onions and garlic unless you absolutely have to. You can find the recipe here. Ciao all the best for 2011. I am back at last catching up on all the posts I missed while I was away from computing while on an extended trip to the UK. 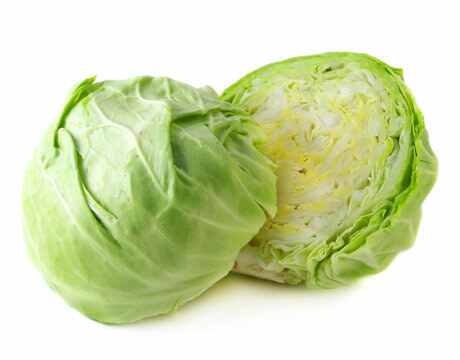 Cabbage is an underrated vegetable I wonder why so many children hate it, must be the way it is presented to them. Lactose intolerant people would have a problem with the cream. I don’t recall people having all these food problems when I was growing up. We have just had huge floods in our area and fresh food is going to be in short supply for a while. Cabbage sounds good. I recall Grandmother Berry (Nana) who never let a day go by without her boiling cabbage – and eating just plain old cabbage. BAH! As it happens, writing about cabbage made me think of Nana, and I’m in the midst of a short ‘elaboration’ about her – and her cabbage eating! Hint: cabbage wasn’t the only thing she ate daily. Stay tuned! I needed a **very** fast dinner last evening that could be made with available ingredients. Remembering the cabbage-cream-pasta idea (Thank you Capt’n! ), I made a very speedy rendition. The results were wolfed with great smiles by the four of us. We are hosting two young men for an international piano competition, one from Mexico City and the second from the Republic of Georgia. Two more different palates it would be difficult to find, yet the cabbage-pasta dish was a great success. Next time, I will follow your directions more carefully, but an ingredient toss (for lack of a better term) worked very well. Thanks for the inspiration. I can imagine that cabbage would say ‘home’ to Mr. Georgia, but I’m not so sure about Mr. Mexico. We’re so glad it was a success, and I suspect your iteration may have been an improvement on even the Captain’s.